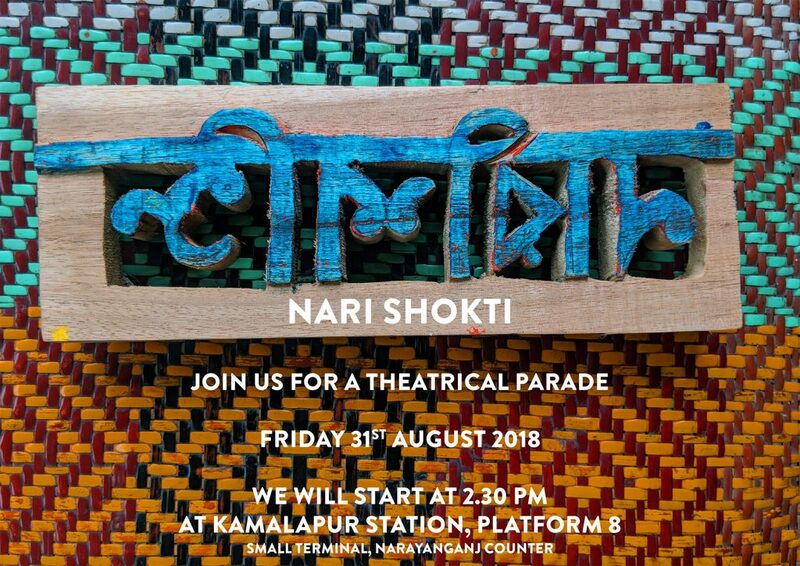 Nari Shokti – Bengali for ‘strong women’ reacts to the Sufragettes’ 100 year anniversary in the UK and takes its starting point in looking at Bangladesh’s economic powerhouse – the ready made garments industry. 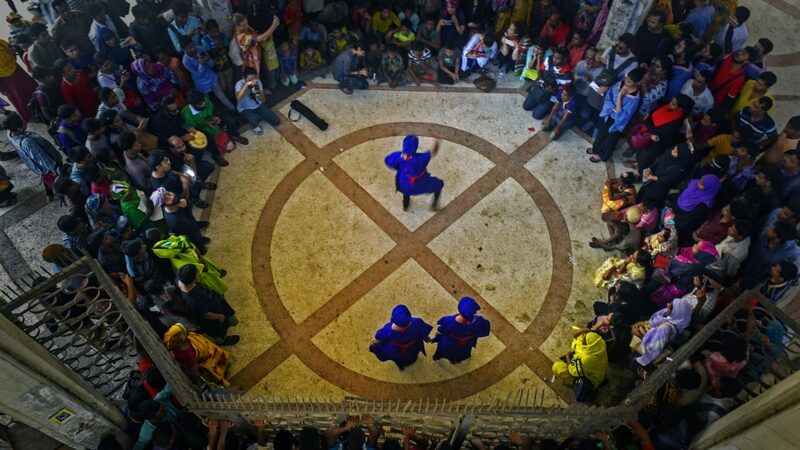 In August 2018, Peut-Porter travelled to Bangladesh to start a month-long collaboration with Dhaka-based studio Paraa. 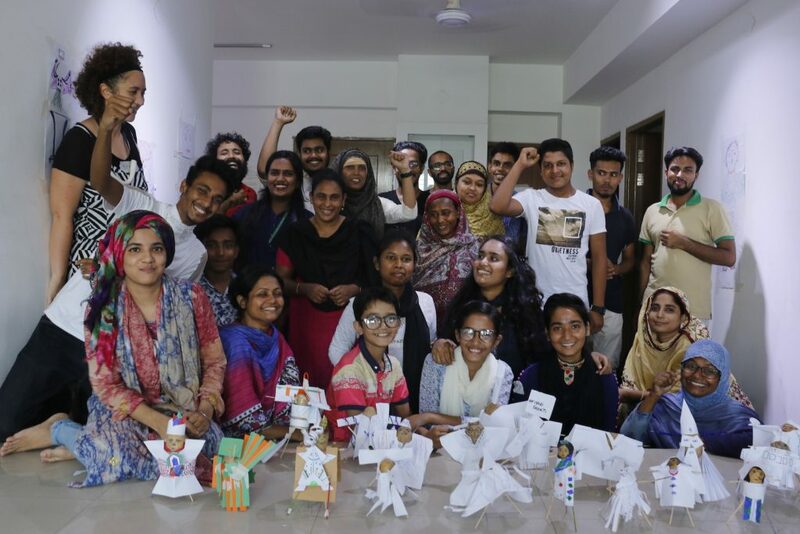 Working with diverse communities, the project reflects on the role and social situation of women in Dhaka, aiming to engage with the public through this event following a series of collaborative workshops. Ten characters and enacted stories were developed, representing fierce women who challenge and redefine the female identity despite facing crisis, loss and maltreatments – succeeding in their very own way. 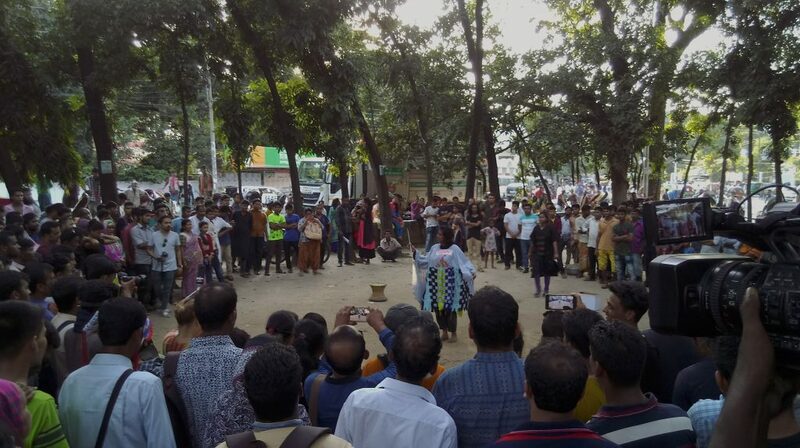 Four performances of working class theatre scattered through the heart of Dhaka City starting at the Kamalapur Railway Station, showed a chorus of costumes and masks, presented by garment workers, women living in and around Kamalapur station, actors from Prachanyat Theatre and students from BUFT University. This project is supported by British Council UK, Ravensbourne University London, Prachyanat Theatre, BGMEA-BUFT, Hamid Fabrics, Prabartana, Shadona and NDBUS. Below you can see a first edit done by Nibir Tarannum Ali – the final film documentation of the project is in progress. Next PostNext Post Reality Remix or: VR+PR=RR – Experiments to bridge the Physical and the Virtual.